Before an employer decides to push the button on suspension, there are several factors they should consider. Suspending an employee during the investigation of a difficult issue can bring with it risks, despite it being a helpful (and sometimes necessary) tool for employers. In this article we look briefly at the recent Court of Appeal case which has provided some helpful guidance on the topic. First we look at the principles regarding suspension. generally investigate the matter properly. However, employers should be aware of the unintended consequences of placing an employee on leave during an investigation. Suspension is not a disciplinary sanction and should not be used as such. Even though it is not the intention, being suspended can make employees feel that a shadow has been cast over them, making it difficult to return to work. periodically review the suspension so that it does not continue for an unreasonable period. UK law inserts a term into every employment contract that neither employer nor employee will act in a way “calculated or likely” to destroy or seriously damage the relationship of trust and confidence. Breaching that term can constitute a repudiatory breach of contract, resulting in the contract (and its obligations) falling away. A serious breach of the term of trust and confidence could enable an employee to claim they have been unfairly and wrongfully constructively dismissed. The financial consequence of a successful constructive dismissal claim is that the employee is owed all the contractual benefits under their contract (i.e. notice pay and sometimes bonus, LTIP etc.). Additionally, if the employee has more than two years’ continuous service, they could bring an unfair dismissal claim. Damages could be higher if the employee can establish that the reason for suspension is related to whistleblowing or discrimination. Is it reasonable and proper to suspend? How can employers balance the risks of keeping the employee in the business during an investigation with the risk of breaching the term of trust and confidence and being faced with a constructive dismissal claim? In London Borough of Lambeth v Agoreyo the court confirmed that the correct test is whether an employer’s response to allegations was reasonable and proper in the circumstances to allow investigation. 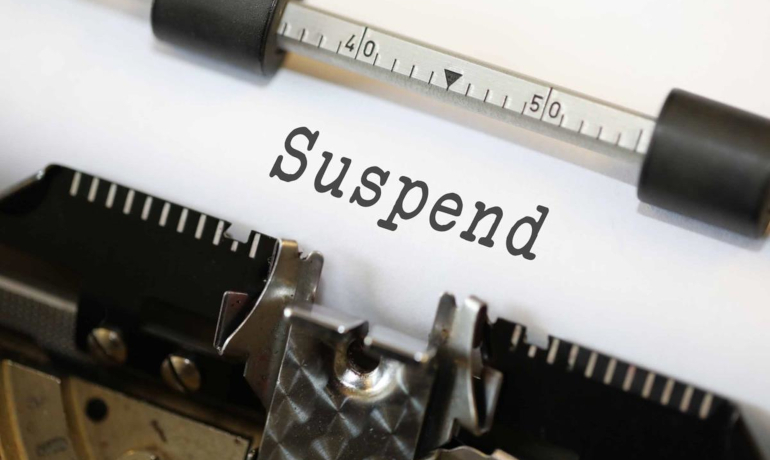 Suspension does not need to be necessary; if an employer can show that the decision to suspend is merely reasonable and proper, they will not have breached the term of trust and confidence. If the suspension is not reasonable, it could amount to a repudiatory breach of contract. There is also no automatic or unrestricted right for employers to suspend: employers must satisfy themselves in each case that suspension is the right step to take. In summary, employers need to consider whether it is reasonable and proper in the circumstances to suspend the employee in order to allow the investigation to continue.